Welcome to Ruma rua tekau ma rima: Welcome back learners to TERM 2. Welcome back learners to TERM 2. It's time to get back in to learning and demonstrating all of our school foci. 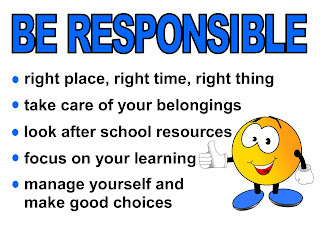 For weeks 1 & 2 we will be focusing on how we can demonstrate being responsible citizens while we are at school. Remember that what we learn while we are st school, can help us be positive members of our community and the world. Hi Room 19! My name is Bella. I think this is such a good rule. This post ties in with our KAWA Care learning we do at my school. Keep up the good work! Hi there, my name is Krisha and I am a student in room 21 at Owairaka School. 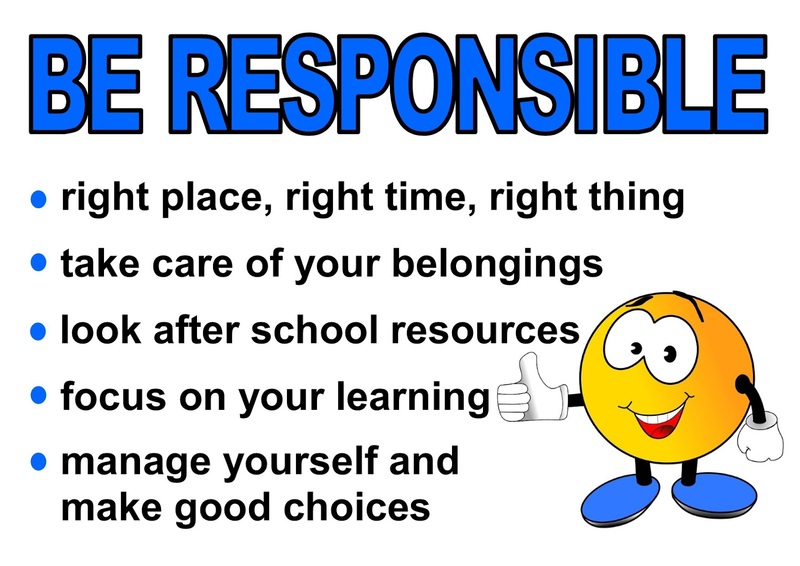 I really like your be responsible poster. Have you thought of making a video of you doing it .If you would like to see my learning, please visit my blog krishas.blogspot.co.nz. It is good to see that you are learning how to be responsible. Try and not to make the teacher mad!